Cision said Tuesday it plans to acquire the France-based media monitoring company. PARIS: Cision has agreed to acquire L’Argus de la Presse, a media-monitoring services firm based in Paris, in a deal worth more than $12.3 million (€11 million/£9.7 million), the company said Tuesday. The deal is expected to close in the second or third quarter of this year, Cision said in a statement. The Argus acquisition comes with a €9 million price tag for 100% of its outstanding shares at the close, subject to customary working capital adjustments, and Cision may also pay up to €2 million over the next four years, it said in a statement. The deal would give Argus’ corporate and PR agency customers access to Cision’s all-in-one platform, the Cision Communications Cloud, which it launched last October. Meanwhile, Cision’s customer base would gain access to French media content. The deal is the latest in a string of acquisitions by Cision. In March, the company acquired Bulletin Intelligence only a week after announcing plans to go public via a deal with a blank-check company called Capitol Acquisition Corp. III. Last June, it acquired PR Newswire from UBM for $841 million. It has also brought companies including Gorkana and Viralheat. Cision hired former Nasdaq VP of corporate solutions, Michael Piispanen, as COO in April. 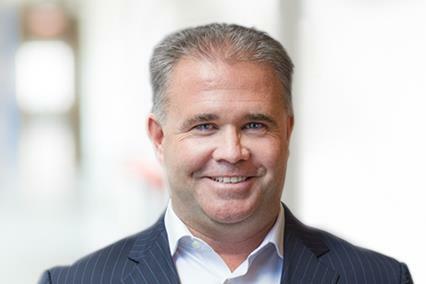 Kevin Akeroyd, previously a GM at Oracle, was named Cision’s CEO last August, replacing Peter Granat.